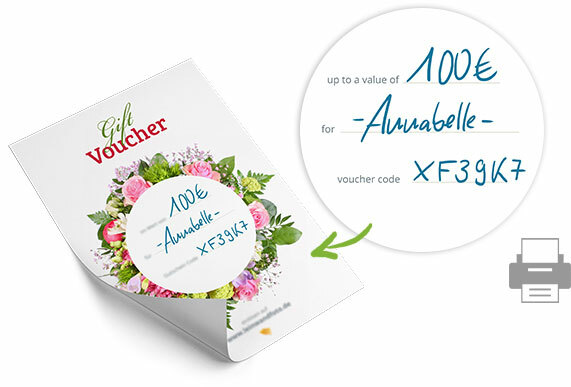 Gift Vouchers made easy: after purchasing the voucher we will send your code directly via email. The code is immediately valid and can be used straight away. 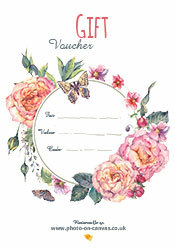 You have a choice of 5 voucher designs. These can be printed out, then filled in and then presented. 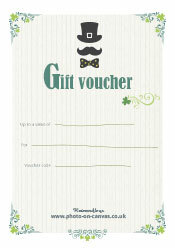 Choose a title for your gift voucher (e.g. Birthday, Wedding, Anniversary). Enter your name and the name of the recipient. 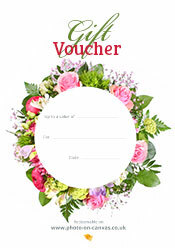 Choose the value amount for your gift voucher. Print your gift voucher at home. With the gift voucher from photo-mosaic.co.uk the recipient will receive a gift code which can be entered during the ordering process. The gift voucher is valid for all of our photo mosaic products: canvas, acrylic glass, Alu-Dibond, and poster. 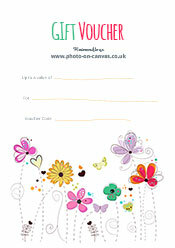 Photo mosaic gift vouchers are available with the default amounts of 25 £, 50 £, 100 £, 200 £or 500 £. If you would like a particular amount for your gift voucher, please contact us at service@photo-mosaic.co.uk. 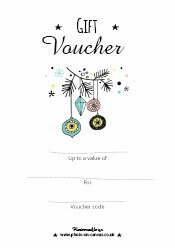 We would be happy to customize your gift voucher for your needs. After entering the gift code the amount including shipping will be reduced according to the value of the gift voucher. The gift code can be applied as soon as the gift voucher has been paid for.